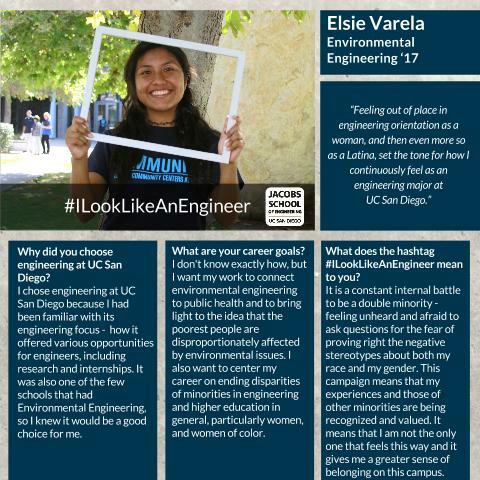 Meet our next student Elsie, who refers to herself as a "social-justice oriented, tree-hugging, feminist engineer." I chose engineering at UC San Diego because I had been familiar with its engineering focus - how it offered various opportunities for engineers, including research and internships. It was also one of the few schools that had Environmental Engineering, so I knew it would be a good choice for me. I don't know exactly how, but I want my work to connect environmental engineering to public health and to bring light to the idea that the poorest people are disproportionately affected by environmental issues. I also want to center my career on ending disparities of minorities in engineering and higher education in general, particularly women, and women of color. One of my favorites is, "If I can ease one life the aching or cool one pain...I shall not live in vain." What are some things that are unique about you? 1. I am a social-justice oriented, tree-hugging, feminist engineer. 2. 20 and can't drive. 3. I interned at a law firm when I was 15. I’d always heard the negative statistics about minorities in higher education and women in engineering, but I didn't fully understand until I got to college. 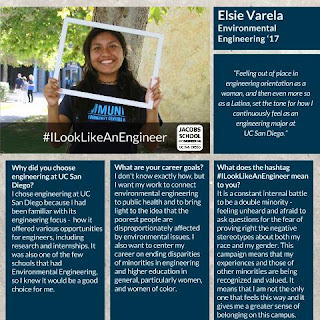 Feeling out of place in engineering orientation as a woman, and then even more so as a Latina, set the tone for how I continuously feel as an engineering major at UC San Diego. It is a constant internal battle to be a double minority - feeling like I don’t belong, feeling like I’m not smart enough, feeling unheard and afraid to ask questions for the fear of proving right the negative stereotypes about both my race and my gender. This campaign means that my experiences and those of other minorities are being recognized and valued. It means that I am not the only one that feels this way and it gives me a greater sense of belonging on this campus. Here is the next profile of our campaign! Akanksha is an international student at UC San Diego, with a focus on coding and a passion for equal representation STEM. 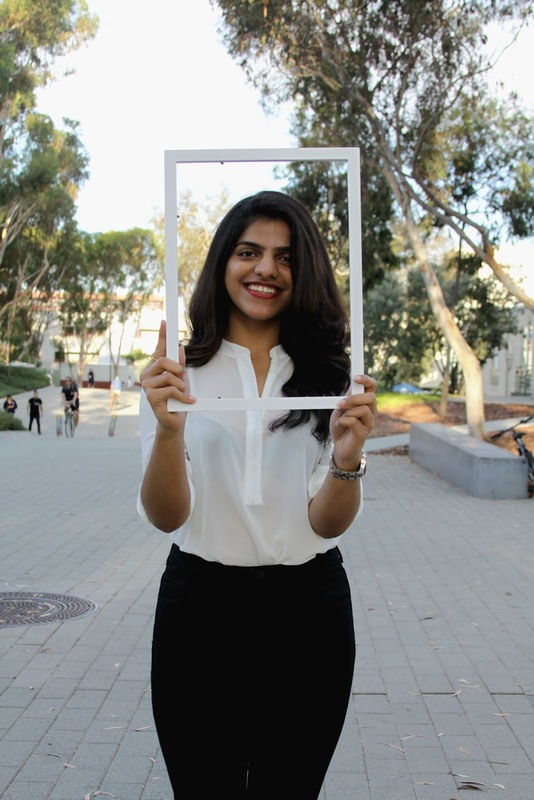 I chose engineering at UC San Diego because I was really impressed by how far this university had come in such a short time, and I could see this university growing a lot in the years to come in terms of education, infrastructure and research opportunities. Other factors that mattered to me and impressed me were the attitude and enthusiasm of the student body, the living conditions, the location and the weather. 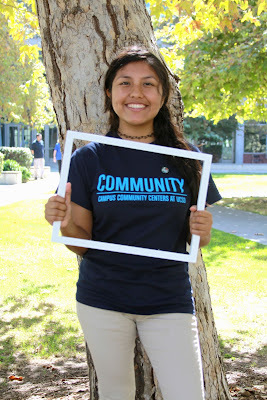 I want to be involved in something that really makes a difference in the field of Computer Science, and in the process of doing that, I'd also love to be able to affect the way women are represented in STEM fields. I'm always the quiet one in the group who's usually listening and observing. I'm kind of a perfectionist and always prefer having things done my way. I try my best to not be hesitant and to stand up for any unfair treatment I see around me. I've been really lucky to be surrounded by people who've always supported and believed in me, but I've seen so many people being told what they can and cannot do based on their gender, body shape, skin color and race, among other things. I truly believe that everyone deserves an opportunity to prove that there’s more than what meets the eye. I believe that no one should be judged or mistreated based on another’s assumptions. I believe this campaign is an excellent way to raise awareness about that, and the fact that people here care about things like these makes me even more proud of UC San Diego. The Defense Threat Reduction Agency has awarded a $1 million grant to researchers at the Jacobs School to develop new skin-wearable systems that can rapidly and efficiently detect and remove chemical and biological agents. The proposed wearable epidermal sensors will also be equipped with therapeutic agents that are released upon detection of the chemical and biological threats. The project, led by nanoengineering professors Joseph Wang (director of the UC San Diego Center for Wearable Sensors) and Liangfang Zhang (faculty affiliate of the UC San Diego Institute of Engineering in Medicine), is titled "Responsive Skin-Worn Detection-Treatment System." The new research aims to provide better understanding of how chem-bio agents interact with skin tissues and builds upon recent advances from Wang and Zhang's laboratories, including epidermal electrochemical biosensors (Wang Lab) and responsive drug delivery systems (Zhang Lab). Meet Michael Benjamin, a junior studying chemical engineering who believes we should never fear failure! 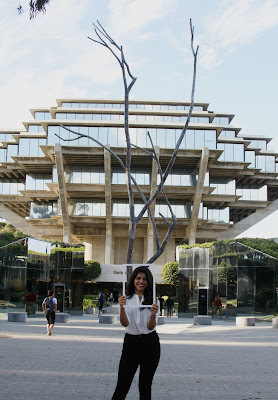 As a young individual, fresh out of high school, I was attracted to the prestige that UC San Diego carries, as well as the hunger to learn that the student population has. My major is Chemical Engineering and I plan to work in the oil industry as soon as I graduate - after I've held an internship with a notable company that helps me challenge myself. While working, I would like to pursue a master’s degree in Petroleum Engineering. My ability to know that failure is merely a state of mind, my confidence, and my hairstyle. This campaign represents a voice that often goes unheard. It is breaking the boundaries of the stereotypes about what it means to be an engineer. More minorities are challenging themselves and becoming engineers, so we are already observing a paradigm shift from past times. This campaign aims to empower women, minorities and any group of individuals that encounter an obstacle such as the glass ceiling that serves as a hindrance to the path towards success. 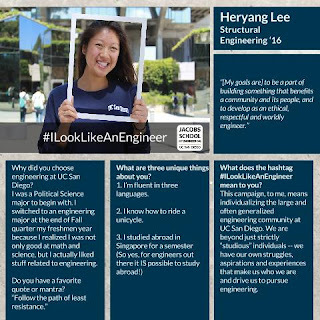 Ultimately, the campaign tells the stories of those specific individuals in the engineering community. "It was very nice bumping into an ECE alum at the airport on New Year's Eve!" said Charles Tu, a professor in the Electrical and Computer Engineering Department at the UC San Diego Jacobs School of Engineering. "It had been several years since I'd seen Oluwafemi Akinwale - 'Femi' for short." Akinwale, on his way to Hawaii for the holidays, is now working at Intel. During his time at the Jacobs School, he worked in the IT unit of the ECE department until it was disbanded. Are you a Jacobs School alum? Tell us what you're doing now! Happy New Year! Thinking of switching majors or studying abroad as an engineering major? 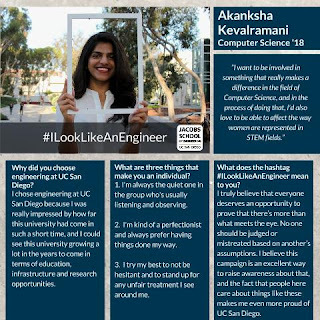 Check out this profile - part of our #ILookLikeAnEngineer campaign. I was a Political Science major to begin with. I switched to an engineering major at the end of Fall quarter my freshmen year because I realized I was not only good at math and science, but I actually liked stuff related to engineering. I fell in love with the Structural Engineering department building, rediscovered my interest in architecture and met some of the coolest engineers I know in my first engineering class. To be a part of building something that benefits a community and its people, and to develop as an ethical, respectful and worldly engineer. 1. I’m fluent in three languages. 2. I know how to ride a unicycle. This campaign, to me, means individualizing the large and often generalized engineering community at UC San Diego. We are beyond just strictly “studious” individuals -- we have our own struggles, aspirations and experiences that make us who we are and drive us to pursue engineering. What if you could fire tiny drug-filled bullets directly at a disease target, like a cancer tumor or a diseased organ in the body? That's the aim of a recent study led by nanoengineers at UC San Diego. 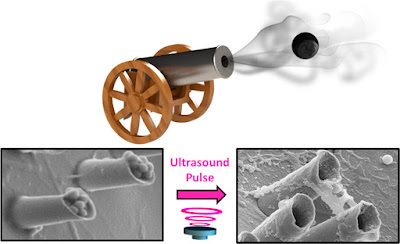 Ultrasound triggers microcannons to shoot nanobullets into a target. 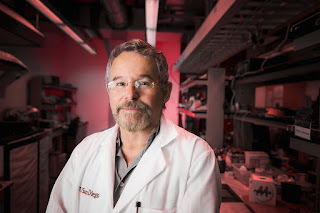 Image credit: Wang and Esener research groups at UC San Diego. Their idea is this: use ultrasound to trigger microcannons to shoot nanobullets packed with drugs deep into diseased tissue, where drugs can be released. To demonstrate this concept, researchers built microcannons as five-micrometer-sized hollow cones made of reduced graphene oxide and gold. Researchers then loaded the cannons with a gel containing silica nanobullets and a perfluorocarbon propellant, which is "ignited" by ultrasound to shoot the bullets from the cannons to the target. 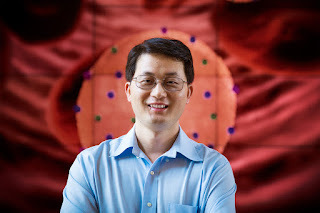 Nanoengineering professors Joseph Wang and Sadik Esener and their labs teamed up to develop this targeted drug delivery method. The researchers demonstrated that their microcannons could fire nanobullets deep into artificial tissue. They published their work in the journal ACS Nano. See media coverage of this story in Gizmodo. 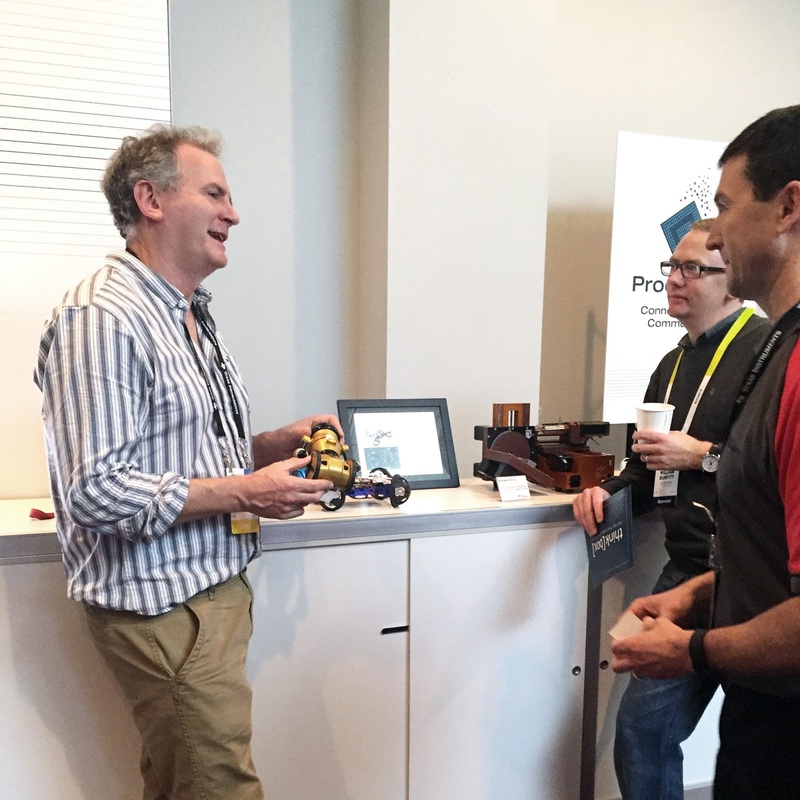 The BeagleBoard.org Foundation and the UCSD Coordinated Robotics Lab are rolling out a new board for embedded robotics applications at the Consumer Electronics Show in Las Vegas this week. The Beagle Board Blue is a new, low-cost, credit-card-sized Linux computer integrated with wireless communication, sensors for situational awareness, power electronics for battery management and motor control and breakouts for Pulse Width Modulation and bus communication for a host of industry-standard sensors and actuators. 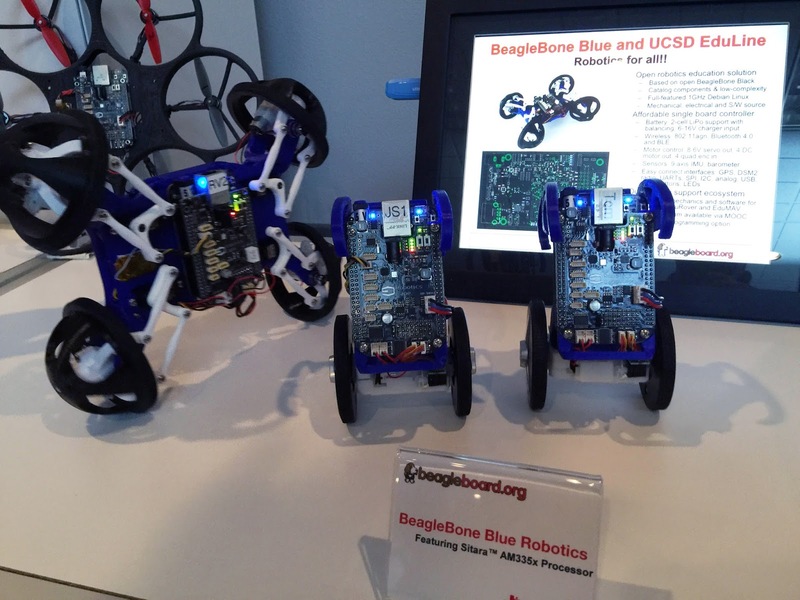 The Blue will be featured in hardware kits for upcoming MOOCs about embedded control and robotics currently being developed by the UCSD Coordinated Robotics Lab, led by Professor Thomas Bewley. The Blue and Bewley, as well as representatives from the BeagleBoard.org Foundation will be at the Texas Instruments booth at CES all week. The new year is a time to take stock of past accomplishments, and UC San Diego has no shortage of those. We once again surpassed $1 billion in research funding in 2014–15, an extraordinary accomplishment that places us among the top five research universities in the nation. And we put that research funding to good use—in 2015, Washington Monthly once again ranked UC San Diego as the No. 1 university in the nation for its positive impact. The new year is also a time to look forward to what we want to accomplish next. Here, professors from the Jacobs School of Engineering share their "big ideas" for revolutionizing research and education for the benefit of human health and society. Hundreds of thousands of people around the world are in need of organ transplants. Unfortunately, organs for transplants are in short supply and even when they are available, there are risks of transplant rejection due to significant molecular and biological differences between the donor and the patient. 3D bioprinting is an ideal technology to create patient-specific tissues or organs, especially when human-induced pluripotent cells from the same patient are used for tissue growth. “If we could encourage more interdisciplinary collaboration among bioengineers, materials scientists, biologists, and clinical doctors to focus on 3D printing patient-specific functional tissues and organs, we could help more people get the lifesaving organ transplants they need before it’s too late,” says Chen. The practice of surgery has only ever been as good as the skills of the surgeon. Even the best surgeons are limited by what their own hands are able to achieve and can still make mistakes. But technology in this age is giving rise to robotics systems that are equipped with more capabilities and can perform various tasks with more precision than humans could ever achieve. "We routinely see popular media portray superheroes like Iron Man using robotics as a means of delivering massive power and destruction, and yet the reality is that robotics has the ability to improve the precision and delicate touch of surgeons beyond what their own hands can do alone," says Yip. 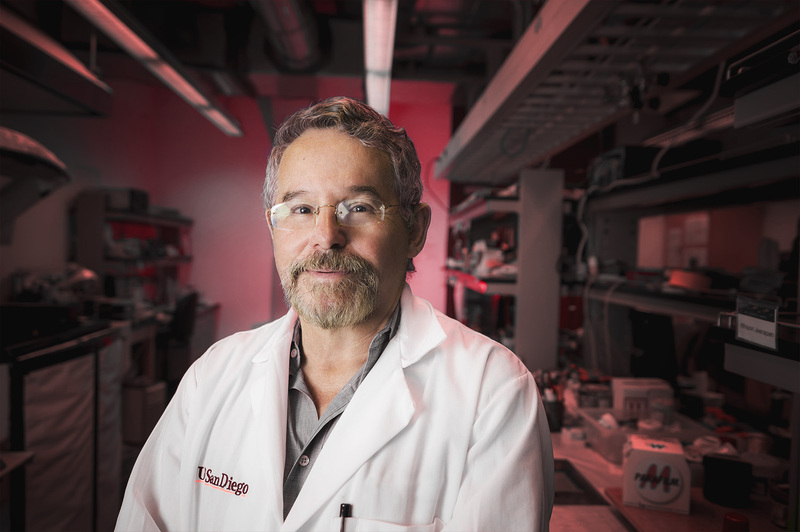 "I invite San Diego researchers and industry to work with me to develop new robot-assistive devices and systems that will provide surgeons with super-human abilities—to navigate the body remotely and access anatomies they could not previously reach, to have augmented reality ‘X-ray vision’ to visualize subsurface lesions, and to perform surgeries with robotically enhanced, micromillimeter precision." Check out more "big ideas" from other visionaries around campus in the story from This Week @ UC San Diego. We are incredibly proud of Sarah Guthals and Daniel Lee, two Jacobs School alumni who are featured in this year's 30 Under 30 selection by Forbes Magazine. Guthals is a co-founder of ThougthSTEM, a company that focuses on teaching kids how to program, in San Diego and beyond, as well as online. The company has created LearnToMod, a software package that allows students to learn how to code inside of Minecraft. ThoughtSTEM currently offers a free Coursera course to teach educators how to use LearnToMod in their classrooms as a learning tool. The company has also developed CodeSpells, a first-person player video game to teach coding. Guthals leads ThoughtSTEM's initiatives that connect with schools and teachers, online and in real life. She often chats with educators online to help them customize their programming lessons. She presented a many educational and programming conferences, including Minecon, a Minecraft-centric event that draws crowds every year. With fellow ThoughtSTEM co-founders and UC San Diego alumni Stephen Forster (computer science) and Lindsey Handley (biochemistry), she co-authored "Minecraft Modding for Kids," in the For Dummies series. 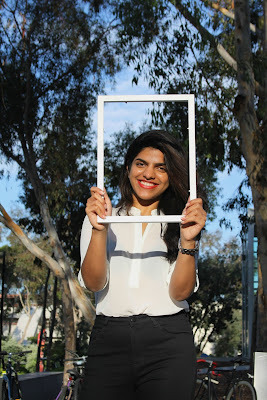 Guthals earned her bachelor's, master's and Ph.D. in computer science at UC San Diego. Daniel Lee with one of the Hush smart earplugs prototypes. 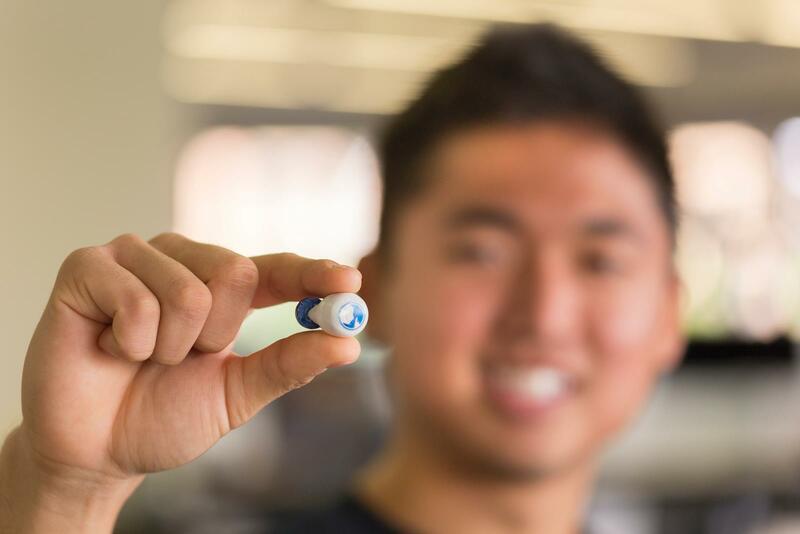 Daniel Lee, nicknamed "Ewok," co-founded Hush Technology, a company that makes smart earplugs with fellow UC San Diego student and alumni Daniel Synn and Daniel Chesong Lee (hence the need for nicknames to distinguish between the three Daniels). The team raised more than $450,000 for their product on Kickstarter. The three Daniels then turned to making the product a reality. As of December 2015, the company completed a 400 unit preliminary mass production run. Hush plans to deliver its units in January 2016. Lee, who graduated in 2014 with a bachelor's in mechanical engineering, came up with the idea for the smart earplugs during an entrepreneurship class taught by Teaching Professor Nathan Delson. Lee and the other two Daniels took part in Phases 1 and 2 of the NSF I-Corps program offered at the von Liebig Center here at the Jacobs School.